This is a great collection to cut your teeth on and if you have a craving for BABY WOODROSE like me, you can't go wrong with 'Mindblowing Seeds And Disconnected Flowers'. 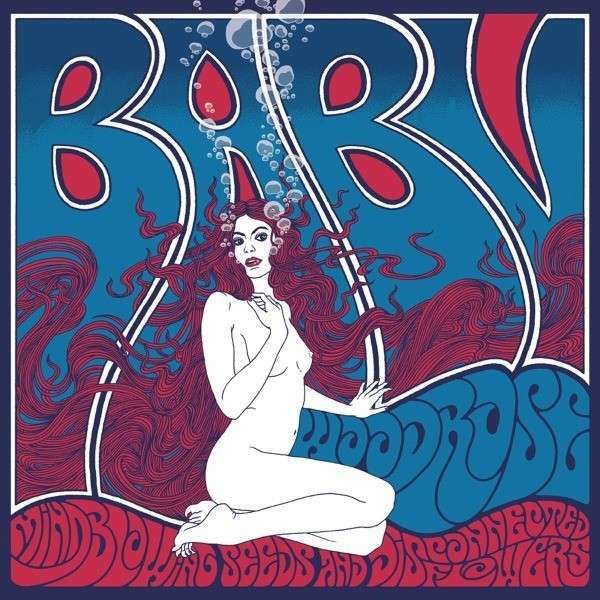 Here, we have a total of fifteen superbly played full-blown 1960's psychedelic garage rock cuts that Lorenzo Woodrose had recorded before the release of the first BABY WOODROSE record 'Blows Your Mind'. That was around 1999, just after he left On Trial. Anyone who knows a thing or two about Lorenzo Woodrose, or has at least listen to his music, will know that he is a very talented songwriter and musician who has spiritualized the sounds of the 1960s. This is also shown by this collection that has been released by Bad Afro Records in 2011. Many of these tracks ended up on 'Blows Your Mind' in final versions, but it's still lots of fun to listen to the early versions. This is especially due to the rough yet powerful sound quality. The songs burst with passion and energy and are therefore absolutely in line with the later versions on 'Blows Your Mind'. We are treated to an alternate version of 'Nobody Spoil My Fun', but there are also a handful of previously unreleased tracks as, for example, 'Gonna Get You Down' or 'Run Little Girl' just to name a few. Lorenzo Woodrose once gain proves that he is capable of combining disaffected garage punk, dreamy pop-psych, Arthur Lee's Love influenced folk rock, and smart, soulful surf rock in his own way. On top of that, his charismatic vocals are perched somewhere between rebel, lover and wise man. Very often, he writes about a person who is "out there", the dropout - not the everyman but the lonely man. And that can be felt as the music of BABY WOODROSE does not lack the necessary emotional depth. Basically, 'Mindblowing Seeds And Disconnected Flowers' comes across as a completely new album, and it is obvious that the arrangement of the tracklist is well thought out. It is therefore a mistake to think that this is just another superfluous compilation. Even if you own the entire discography of the band, you need to buy this record because it gives you a real insight into BABY WOODROSE at an early stage. Additinally, it's the kind of music where you can listen to it a dozen times and still find new tracks, new subtleties, and new garage nuances buried in the tunes each time you play it - yet the songwriting is direct and catchy enough to hook you on the first listen. All this is complemented by the stunning cover artwork of Kiryk Drewinski, who had also worked for bands such as The Flying Eyes, Liquid Visions, The X-Ray Harpoons and many more. 'Mindblowing Seeds And Disconnected Flowers' really deserves a spot in your collection, and you deserve to hear this wonderful music.